New York state’s bishops recently issued a strong statement of opposition to proposed legislation that would significantly expand abortion in New York state. “Words are insufficient to describe the profound sadness we feel at the contemplated passage of New York State’s new proposed abortion policy. We mourn the unborn infants who will lose their lives, and the many mothers and fathers who will suffer remorse and heartbreak as a result,” the bishops said in the statement, which was signed by Cardinal Timothy Dolan of the Archdiocese of New York and the bishops of the other seven dioceses in New York — including Rochester Bishop Salvatore R. Matano — as well as the state’s retired and auxiliary bishops. The New York State Catholic Conference, which represents the state’s bishops in public-policy matters, also is encouraging Catholics to contact their legislators and voice their opposition to the proposed legislation. New York’s current abortion laws are “radically permissive,” and the proposed legislation would make it even more so, according to the Jan. 17 statement from New York’s bishops. New York Gov. Andrew M. Cuomo, in his Jan. 15 State of the State address, urged lawmakers to pass the Reproductive Health Act quickly. He also advocated for enshrining the U.S. Supreme Court’s 1973 Roe v. Wade decision into New York state’s constitution upon passage of the Reproductive Health Act. Expanding access to abortion, however, is not a sign of progress, according to New York’s bishops. 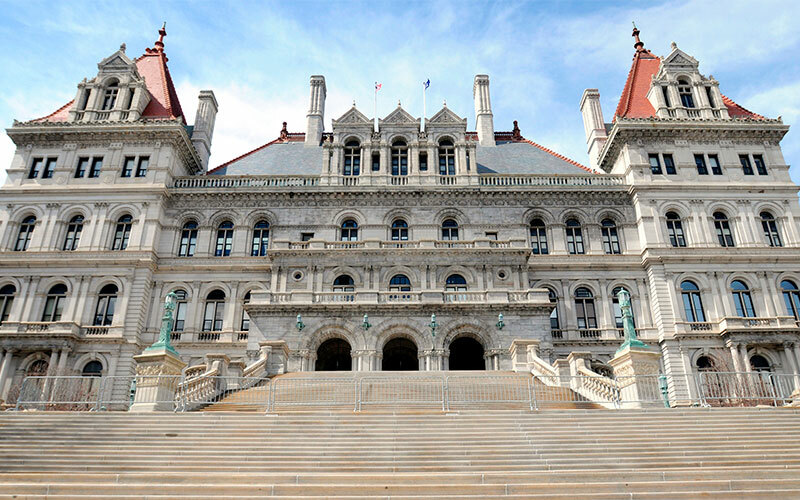 Although the Reproductive Health Act is expected to pass in both the Democrat-controlled state Senate and Assembly, the Catholic conference nonetheless is encouraging Catholics to voice their opinions on the proposed legislation as soon as possible. Those interested may do so by visiting the Catholic conference’s website , where they can compose their own messages or edit a pre-written message.